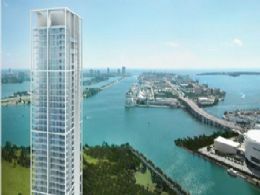 The two towers of One Miami are likely the best option for those seeking homes with glorious waterfront and city views. Over 70% of the units offer magnificent vistas and when a building boasts The Related Group as its developers and both Arquitectonica and Yabu Pushelberg as its designers, there’s no doubt the end result will be outstanding and One Miami certainly does not disappoint by any means. One Miami’s lobby is truly a visual delight to behold thanks to inspiration by Yabu Pushelberg and Arquitectonica, two highly acclaimed interior design and architecture firms respectively, with an impeccable track record and portfolio that speak for themselves. The entire building is extravagantly landscaped and inside, you’ll find a state of the art fitness facility with the absolute latest in exercise equipment and a full service business center. Outside, discover the lap pools and the exciting party deck. Additionally you’ll find a bounty of services and conveniences like concierge, valet, assigned parking, around the clock security, housekeeping, and dry cleaning services. The 896 residential units feature floor to ceiling glass windows that offer captivating views of the entrancing ocean and the city. You can also step outside to your private balcony and breathe in the highly invigorating South Florida breeze. In contrast to the many surrounding condominium buildings, One Miami residents also have the option of choosing carpeting in a variety of designer color choices. 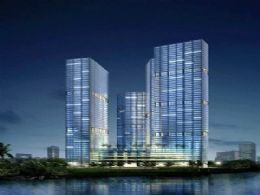 Fire safety alarms, energy efficient air conditioning units, and "Smart Building" technology designed for the latest in high speed technology add more appeal to One Miami’s magnificent homes. Within the kitchens you’ll find European cabinetry, stainless steel energy resourceful appliances and imported granite countertops. Bathrooms feature stylish fixtures and deluxe imported tile. One Miami residents who seek to indulge in live performance while exploring Miami’s rich history need look no further than the Gusman Center for the Performing Arts, a historic landmark in existence for more than 80 years. The Miami Art Museum and Bayfront Park feature superb art galleries and exhibits and year-round festive events, respectively. To get a sense of Miami’s amazing architecture, just take a stroll down Brickell Avenue and marvel at the astounding structures like the eagerly anticipated in development ICON Brickell.